Souq.com, a top online retailer in the region and Amazon have launched the all-new reimagined Kindle Paperwhite in the UAE, featuring a thinner and lighter design, a sleek flush-front display, and waterproofing. 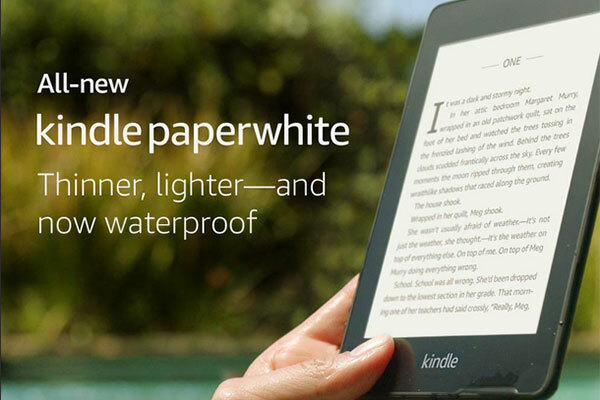 The all-new Kindle Paperwhite will be available in the coming weeks on Souq.com starting Dh529 ($144). “At Souq.com we always listen to our customers in the region and work to bring them the latest and most advanced devices tailored specifically to their needs,” said Souq.com CEO and co-founder Ronaldo Mouchawar. The most popular Kindle is now waterproof, so you can read in even more places. The all-new Kindle Paperwhite is designed to withstand accidental drops in the bathtub, hot tub, pool, and ocean. It’s IPX8 rated to protect against immersion in up to two meters of fresh water for up to 60 minutes. • An updated home—The new home experience makes it easier to find your next read based on your reading history. • Easily personalize your reading—Now save multiple reading settings, selecting the font, boldness level, and orientation settings you prefer all from the main menu and quickly switch between those settings.